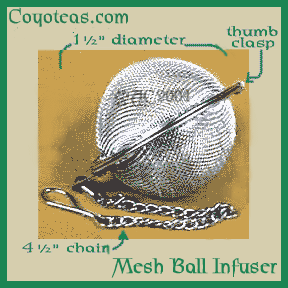 More Information: This metal tea-ball is easy to fill and latches shut with a flip of the thumb. Fill it with your favorite herbs or tea for a hot drink. No more loose tealeaf floating in your cup! Holds enough to make a pot, or fill it halfway for a mug. New! larger 1-3/4" (4.44cm) diameter, same low price. 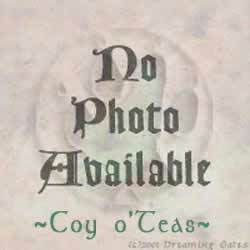 Related Products: Tea Bag, Tea Strainer. This product first appeared in our catalog on Tuesday 08 August, 2006.